"He's not human; he's an empty space disguised as a human." I picked this one up for the RIP challenge and it turned out to be just what I was looking for - disturbing, sinister and haunting; a book that I won't soon forget. 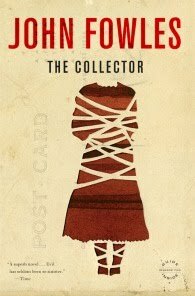 The Collector explores the darkest of human behavior and obsessive love in a unique and compelling psychological thriller. Ferdinand Cleff, a long-time butterfly collector and curator, is a reclusive clerk who comes into a large sum of money. After paying off relatives as a way to push them out of his life, he buys a secluded home two hours outside of London. After securing the home and fending off curious neighbors, Cleff seeks to collect his ultimate prey, a young, blonde art student who he has been watching and obsessing over for years. There were even times I thought I would forget her. But forgetting's not something you do, it happens to you. Only it didn't happen to me. I struggled to put this book down. Fowles structures the novel in a way that grabbed me from the start. The first half of the book is told from Cleff's point of view and when I thought I would find out what would happen to his prisoner, the second half of the novel continues from Miranda's own point of view, starting with the evening she was abducted. (Yes Ferdinand and Miranda; an allusion to The Tempest.) Fowles managed to give these characters two distinct and unique voices. 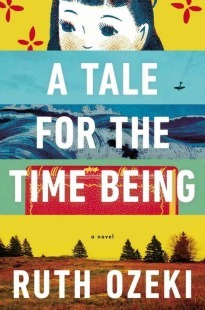 One of my favorite things about this novel is how Fowles made both Cleff and Miranda so unlikable that by the end, I had hoped they would just kill each other. I was always invested in the story, but as it unfolded I decided the dual characters were perfect for each other in their own messed up way. Cleff is a severely disturbed super creep and Miranda is so narcissistic and self-involved I can't help but think she deserves her misery. Each character deceives the other repeatedly, ultimately feeding their own agony. As far as psychological thrillers go, the ending did not disappoint. It wasn't over-the-top gruesome, but I was disturbed and intrigued all at once. I'd recommend this to anyone looking for a novel that examines love, human nature and obsession at it's darkest. This is John Fowles first novel. Wooooooooah! I am so checking this out, Brenna. I LOVE those quotes you put. Very sinister. Ben, Oh it is sinister! Glad you enjoyed the review. Let me know if you get this one! I don't know what I thought this book was about...certainly doesn't match up to your summary. Now that the weather has plunged 30 degrees in the past few days, I'm ready to, as you write, explore the darkest of human behavior. Also, there's no more Breaking Bad...so I need to try handling that fix through fiction, till season 5 is out. I actually bloody loved Ferdinand's character, for whatever reason I found him to be really endearing. I guess I just go for the weridos. Ho hum. I liked this one an awful lot when I had read it. Glad u had a chance to experience it. I can't believe I've never read this! The French Lieutenant's Woman is one of my favourite books (and it's about that I reread that as well). Brilliant review, I read this last year and thought it was wonderful the most wonderfully creepy and real books I have ever read. I didn't want to be inside Clegg's head, but I couldn't tear myself away. What I enjoyed most was how there were two sides to everything in the story - two sides to each of the characters, two sides to each of their actions, two sides to their interests, their goals etc. Yet another book I've always meant to read and just haven't got there - the quote you've used to open your review is brilliant, I really must read this soon. It sounds like the perfect Halloween read! I think I may have to hold off to next year (ridiculous TBR stack right now), but it sounds so good. Oh wow, this book sounds terrific and a particularly good read for this time of year. I love good characters but I don't have to like them. I think it's brilliant that the victim Miranda is completely unlikable. I think I'd have to read this book for that reason alone. Thanks for your fantastic review!